We can’t help but feel that our coverage of the denouement of the County Championship is getting a little niche. In the previous instalment of our four-day mud-slithering analogy, Yorkshire had lost ground to Middlesex and Somerset because they for some reason needed to go and pick something up before making their way towards the MacGuffin. We hypothesised that the something might be a pair of gloves with a special MacGuffin grip on the palms. What else could it possibly be? In real life, it was the bonus point earned from reaching 350 inside 110 overs. Against the odds, they made it, thanks largely to a quite majestic innings of sturdy clomping from Tim Bresnan. Having been 32-3 and with a man who normally bats at seven or eight up at five, it was quite the performance. Even better than that, the moments leading up to that 350th run were cricket in its purest form. Middlesex appeared to be bowling to deny Yorkshire the bonus point, even though it had precisely zero bearing on their own Championship hopes. If anything, it was in their interests for Yorkshire to get it as it would effectively prevent their opponents from ever settling for a draw. A tense stalemate saw a number of overs eaten from the game with neither side benefiting. And then they went off for bad light. Come the restart, Yorkshire got their run and then added plenty more. After a couple of Middlesex wickets, it was hard to avoid the impression that they were, if not ahead, then at least slithering at greater speed than either of their rivals. Somerset won their match in the end, so they basically have their hands on the MacGuffin already. The only question is whether they should have stopped to pick up a pair of gloves like Yorkshire did. They can’t go back now though. Their journey is over. There’s a little more slithering in this season yet. 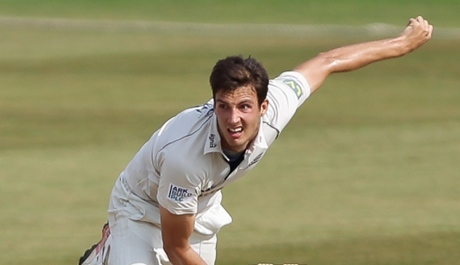 Warwickshire look likely to beat Lancashire barring a prolonged rearguard. However, both sides will be hoping that Hampshire fail to beat Durham. The day started well in that regard. First of all it pissed it down, after which Durham scored more and more runs and took more and more time out of the game. A draw seemed increasingly likely – but that was to reckon without Hampshire’s desire for ‘quick runs’. While quick runs also brought quick wickets, the likelihood of a draw has receded markedly. Of course you do. He played for England as recently as last month (against Ireland – what do you mean you don’t remember?). But do you remember what he was? You probably remember Tim Bresnan as a diligent and accurate third seamer, but once upon a time he was an all-rounder. Maybe that’s generous. He was more accurately a lower order batsman who could make runs and when you see a 22-year-old like that, it’s natural to predict further improvement. However, the 2007 season in which he made three hundreds and averaged 48.5 remained a bizarre aberration until recently. Having floated away from England’s Test team like a wiry-haired buoyancy aid, Bresnan had also sunk to number eight in Yorkshire’s batting line-up like a partially deflated wiry-haired buoyancy aid. 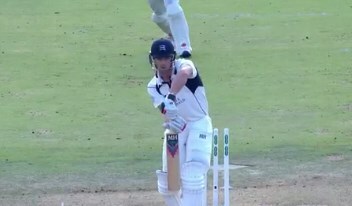 It was from this position that he made 100 not out against Somerset last month – only the fourth first-class hundred of his career. This week, he did it again, making 169 not out in a dementedly protracted partnership with Jonny Bairstow against Durham. 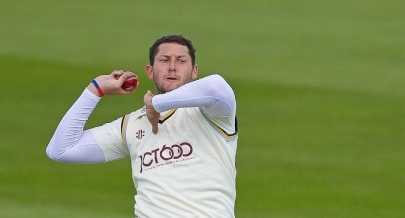 At the age of 30, could Bresnan finally fulfil his promise and become an actual all-rounder? We’re wishing him all the best – although not because he’s a loveable fatty, which is what you’ll no doubt assume. Now seems an appropriate time to restate our belief that he is no such thing and has in fact gained this reputation largely because of his abnormally round head. His big tree trunk arms may add to the impression as well, but he’s surprisingly fat-free. We have previously described him as being like a burly puma and cannot currently improve on that. He gets one point for trying to broaden his horizons. Zero points for execution. Tim Bresnan had elbow knack. It was a particularly severe case and so he had surgery. Unfortunately, the procedure made him not particularly good at cricket. He therefore had surgery again (not to get bionic legs or owt, just for the elbow). Now he’s back – even if he wasn’t away quite long enough to warrant a ‘Tim Bresnan’s back’ headline. The good news is that he claims to have recovered pace. He hasn’t had this verified by a speed gun, so it might just be that he can’t remember what quicker bowling looks like, but if he has recovered a yard or two, that’s great news. A sportsman’s career rarely ends on a high, but injury is the saddest way to go out, particularly if it’s more of an impediment than a death blow. An injury which merely takes the edge off your ability commits you to a grey purgatory where you play a pale imitation of what you once experienced of your sport. We imagine it’s kind of like going back and playing Outrun. If you’ve spent time driving around virtual cities doing as you please in more recent games, you simply can’t re-narrow your horizons so that the Outrun experience is as satisfactory as it once was. Delicious and versatile. Oh wait, upper-case ‘O’. Let’s start again. Graham Onions is the England bowler everyone rates, but not enough that he’s ever the person they think should play. His qualities are low-octane and harder to see. There’s always a taller bowler or a faster bowler who’s more eye-catching. He doesn’t even swing the ball much. Graham Onions basically does two things: (1) absolutely nothing wrong and (2) he bowls at the stumps. His excellence lies in doing these things over a prolonged period of time. He bowls more balls that batsmen have to play that might possibly get them out, but probably won’t. This doesn’t sound like much, but the accumulation of possiblys almost always results in wickets. If Steven Finn cannot play the fourth Test – and it seems likely this will be the case – we would therefore rather England selected Graham Onions as the second seam bowler. Tim Bresnan is the other option, but we (perhaps unfairly) feel that we’ve already seen enough of him in India to know that he would take no wickets and serve no purpose as a bowler. We feel for Bresnan at the minute. He seems to have lost pace following elbow surgery. 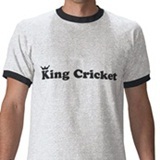 No-one made much of it during the summer, because he took a few wickets. Medium-pacers can do that in England in May, but against South Africa and India he has seemed as pointless as the balls of dough he looks like he should be making. You need opening batsmen, you need a wicketkeeper, you need a spinner. You don’t always need a guy who looks like a cartoon baker. That’s not to say that such a person isn’t of value though. Sometimes the captain will look round the field and think to himself: ‘Oh for a chubby, friendly face topped with curly hair that makes me feel like I’m about to be offered some fresh oven bottom muffins’. If that happens, does Stuart Broad fit the bill? Most certainly not. If you want a vertically stretched version of the stroppy blonde boy from a 1950s novel, he’s your man. But if you want a jovial, red-faced, perspiring chap who looks like he’s keen that you try his new farmhouse loaf, you want Tim Bresnan. Which is our way of saying that we have no opinion as to whether Stuart Broad or Tim Bresnan plays in the first Test against India. We named our England heroes for the World Cup before it had started. We remember now that cricketing heroism is more about what you do on the pitch than the shape of your head. That said, the man named on the basis of head shape, Tim Bresnan, has been something of a success. He’s taken wickets and often looked England’s best bowler, particularly against India. Maybe phrenology is the way forward. Mike Yardy is the other hero who’s actually played. While he could maybe have bolstered his figures had he played against the Netherlands, it now seems like his one-day career may have run its course. There always seemed to be an England policy of playing Yardy as a bowler for as long as they could get away with it, in which case, shame on them for overplaying him before the tournament. He could have been their secret tool. Luke Wright’s not been seen. The High-Visibility Tabard of England Squad Membership must be so firmly affixed to his torso that he cannot be picked lest he be mistaken for a steward while fielding on the boundary.